His name was Domitian. And he was as much of a moral reprobate and degenerate as one could imagine. – History tells us he was a serial philanderer; even seducing the wives of high ranking Roman officials. – When his own brother had become gravely ill, he ordered everyone to leave him for dead before he actually died. – When the chief vestal virgin in Rome was found to have been less than chaste, he had her buried alive and her lovers beaten to death. – He once had someone put to death just for making a joke about him. – He seduced his married niece, and caused her death in forcing her into an abortion. – He was physically unattractive. He apparently had a festering wart on his forehead which he was known to scratch at until it bled. – He was touchy about being bald, had what we would call a beer gut and spindly legs. – He insisted on being addressed as “Lord and God”. – And he was Emperor of the Roman Empire. The man in power over the 7 cities – the churches and the citizens – mentioned in vs. 4. Those Christians to whom the book is written. – He had a dislike of and willingness to, persecute Christians. What were Christians to do with such a leader in “The White House” of that day? – When John writes this book, it is 60 years or more since the death of Jesus. – John is the last living Apostle, and he is in exile, and a very old man. – Jesus hasn’t returned, though many – if not most – had expected Him to in their lifetimes. – Was the Church through? – As we’ll see in the weeks to come, even these Churches who are addressed directly by Jesus are for the most part in poor spiritual health. – Was there a future for Believers? – Had Christianity run its course? – What were they to think and do in light of these facts? This is why the Book of Revelation was written. It was written to Christians who were somewhat disillusioned, troubled, suffering, facing great uncertainty and wondering just where they fit into the scheme of things. It was written for you and me. The opening 8 verses we have before us today are meant to prepare John’s readers and all the following generations to see things not only as they are horizontally, but from God’s perspective. The book is meant to remind us that God is still on the Throne. The program has not changed. Jesus is still coming. And for Christians in every generation and under all circumstances to live with eyes wide open to what is really going on in the greater scheme of things. We’ll look at this opening portion in 4 bits. But a few words more of preparation might be useful here. F.F. Bruce tells the story of a Christian at a university passing out free copies of a modern English New Testament to students. They were free on condition the recipient agreed to read it. As it happened, he later ran into one of those he had given a New Testament to, and stopped to ask if he had read it, and if so, how it went? Lots of people come to the Book of Revelation with a similar thought in mind. It’s a bit more like science fiction than anything else in the Bible – except for a few parts in Ezekiel, and Daniel and a few others. It doesn’t take long to realize you’re reading something very different than the historical narratives, or the teaching parables of Jesus or the apostolic letters we’ve been going through. And while the form – know as “apocalyptic” literature may be quite foreign to us – to John’s 1st century readers, it was not all that odd at all. And a big part of getting at this book is reminding ourselves to try and see it the way those early readers would have read it. 2 – As D. A. Carson notes: It is not meant to be a puzzle book, to be decoded so that we can understand times and dates for the return of Christ – but it is rather a picture book, using imagery to communicate very practical, powerful and important ideas. And a bird’s eye view of things is common. Often the scene changes so that we see things from overhead – from Heaven’s point of view rather than horizontally. Anyone who has spent any time at all with the book knows that there are a few different fundamental ways of looking at the book. Perhaps most common in American Evangelicalism today is what is called the “Furturistic” view. That Revelation is mostly describing events future to both John’s Day AND ours. Dispensational Premillennialism takes this view. From 4:1 – on everything is still future. However, this seems to ignore how the 1st readers would have understood some of the symbolism. A second view and virtually on the opposite end of the spectrum is the “Preterist” view; where virtually all of what Revelation depicts is already past. It was even when John wrote it. In this view, the events are considered mainly about the fall of Jerusalem in 70 A.D. & persecution of Nero. Third most common is the “Historicist” view. The idea that the book paints all of Church history from 1st century until the end. Our job is find out where we are on that continuum. This was a trend during the Reformation. Lastly is what we might call the “Principial” view. Revelation is just painting a Christian philosophy of history – of the struggle between good and evil. In reality, I think there is reason for seeing all of these as having something of truth in them. We’ll see that more clearly as we progress. A problem arises however when we try to force everything in the book into one of these views exclusively. I take my cue from a repeated concept in the text itself that seems to require me as a reader to re-adjust my view at various times in the book. We can note a couple of things here. It is a REVELATION, not something hidden and unknowable. Not mysterious. It was a revelation given to Jesus by God the Father – to show Jesus’ servants things that should soon take place. And then Jesus sent an angel to reveal it to John. So it is throughout we’ll encounter angels showing and explaining things to John. John wrote it down as the “testimony” of Jesus Christ. As Jesus’ sworn word. Question? Is it a revelation ABOUT Jesus Christ? Or the revelation that BELONGS to Jesus Christ? There’s lots of debate over that point, but I will settle the argument by saying categorically – yes. It is both. God the Father directed that Jesus give this revelation concerning how Jesus’ person and work are central to all God’s eternal plans and purposes – in a special manner to the Church. The original readers were to understand that at least a good portion of this book applied to them in their time and in their place. The term doesn’t refer to things that will quickly happen or begin to happen soon, as much as to things which are already underway and moving toward fullness are in motion. As we’ll see in the next 2 chapters, there are 7 letters written to 7 churches that were in existence then – and The risen Christ not only has something to say to each of them in their individual contexts, but He also says at the end of each letter: “Let he who has an ear hear what the Spirit says to the CHURCHES.” In others words, each is to listen to all of God’s counsel for everyone – and that would mean for you and me as well. Having been given this revelation by the Father to give to the Churches, Jesus then sent an angel to unpack it all for John. John then was directed to make it known to the Church by means of letters to the 7 Churches in Asia – 7 copies of the whole to be sent out. And with it comes this “blessing” to all who read it and “keep” it – treasure it up and guard it all. John – to you Believers. I want you to know that in these dark, confusing, difficult times; God wants you to be at peace, as you stand in the knowledge that you are the recipients of God’s overflowing, infinite, unspeakable and glorious FAVOR in Christ Jesus! See the “who is and who was and who is to come”? In other words, there will be things in the book that refer to what is happening right now in the world of the 1st readers, things that have already taken place AND things yet to come. No one view will take it all in – since God is the God who WAS and IS and IS TO COME. We get this idea repeated in 2:8; 17:8; 22:13 – even in regard to the devil. God knows all Satan has done, is doing and will do. So something of how everything will end up in human history, is tied to what is happening at the present and those are both tied to what has come before. We would expect the Book to give us a view that encompasses all 3 – and we are too narrow if we try and nail it all down and cram it into one perspective only. Don Carson advises similarly: I think there are all kinds of hints in the book of Revelation that show that although the thing must be interpreted in the first instance against what is going on in the first century, those things themselves become a kind of prefigurement, a kind of announcement, a kind of foretaste of stuff still to come. [T]he book of Revelation in that regard prepares first-generation Christians for first-generation assaults, but in categories and terms that prepares later-generation Christians for other assaults and ultimately for the final assault. In that sense, I think that there are elements of a futurist view here, too. This way of referring to the Holy Spirit is most likely drawn from Isa. 11 where we read of the Messiah – Jesus will act under the fullness of the influence of God’s Spirit in all of His glory. The Faithful witness: Who remained faithful even in death. Firstborn of the dead: Who is the first to rise to a glorified new existence. Ruler of Kings on earth: Who is actively reigning over all governments on earth. John cannot contain himself when he puts this altogether – even though he is an old man, in exile, facing death, and writing to a church that is for all intents and purposes is in a very pitiful spiritual state facing a grave and uncertain future. No Church – don’t give up. Don’t imagine the world and the flesh and the devil will win at last – NO MATTER HOW IT LOOKS! Every eye will see Him – it will not be some secret spiritual thing. Even the very ones who pierced Him – of whom almost certainly all were dead in John’s day. And He will at last deal with ALL of humanity. DO NOT LOOK AT TODAY WITHOUT REMEMBERING WHAT CHRIST HAS DONE, AND WHAT HE HAS PROMISED FOR THE FUTURE. Church – Believer – take heart. He remains the Alpha & Omega – The Beginning of all of God’s plans and purposes in all eternity – and the END for which He has and is doing and WILL do all things. Nothing can thwart His plans. Nothing can negate His promises. No power in Heaven or on earth can alter what He has set into motion. He will accomplish all He has set out to do. Kingdoms and governments and world leaders will rise and fall. Trends will come and go. The Church and individual Believers will have times of strength and vitality and seasons of failure, persecution, trouble and weakness. But He is the Alpha and the Omega. All that ever was, is and will be is comprehended in Him. And it is this Jesus Christ who will return for His own – and finish the course of human history according to His eternal plan. The Lord God, who is and who was and who is to come – is the Almighty. IT WILL BE DONE! This is the joy, confidence and security the book of Revelation is meant to give to Christians in every age, and under the most uncertain and oppressive circumstances. And it serves to keep us from putting any false hope in human institutions and governments. But if you are not a believer today – and you have never run to Christ for the forgiveness of sins, reconciliation to God the Father through the atoning blood of Christ and submission to His Lordship in repentance for your self-government – this book is meant to do 2 things. First – to shake your confidence in politics, governments or human goodness as an answer to the world’s needs. In time, every single human institution will fall prey to the deceitfulness of fallen human hearts governed by sin – and will always end in oppression and slavery of heart, soul and mind if not body. Secondly, to lead you to call upon the Christ for mercy now – before He comes to judge the world and this entire world system – and it is too late to be brought into the Kingdom of God and of His Son Jesus Christ. It is a call to you – to turn from your sin of self-reliance and self-government and the false hope in the goodness of humanity – to the one and only hope” Jesus Christ, the Son of the living God. 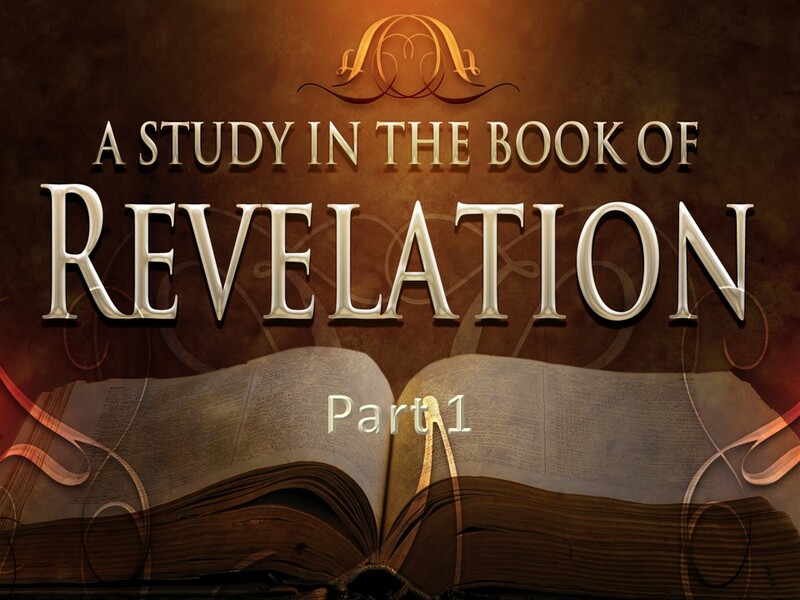 D. A. Carson, “Revelation—Part 1,” in D. A. Carson Sermon Library (Bellingham, WA: Faithlife, 2016).